In Minnesota, we've had an unseasonably warm November and early December. On Sunday, we finally got our first snowstorm. My town got about a foot of heavy, wet, snowman snow. 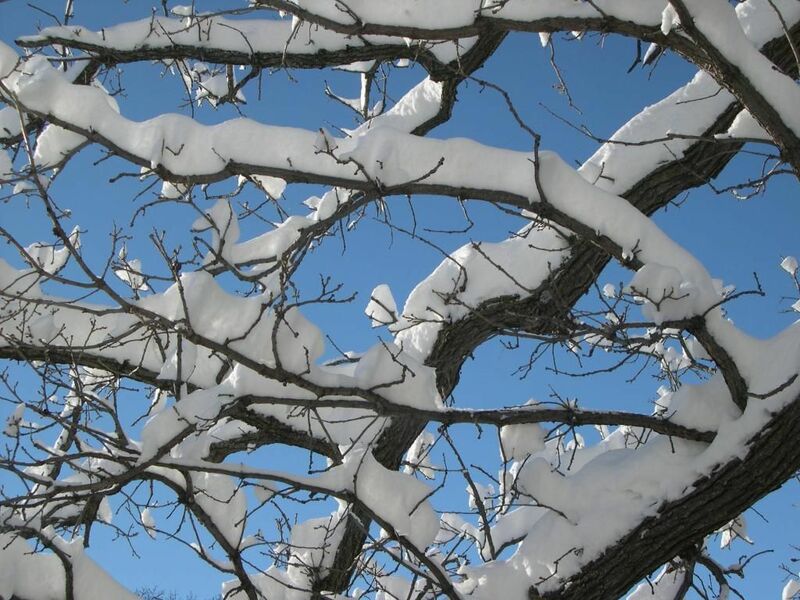 Today it's cold, only 11 Fahrenheit now, but the sun is out and the sky is blue. Here are a couple of pictures out my front window. The squirrels decided they needed some crabapples. 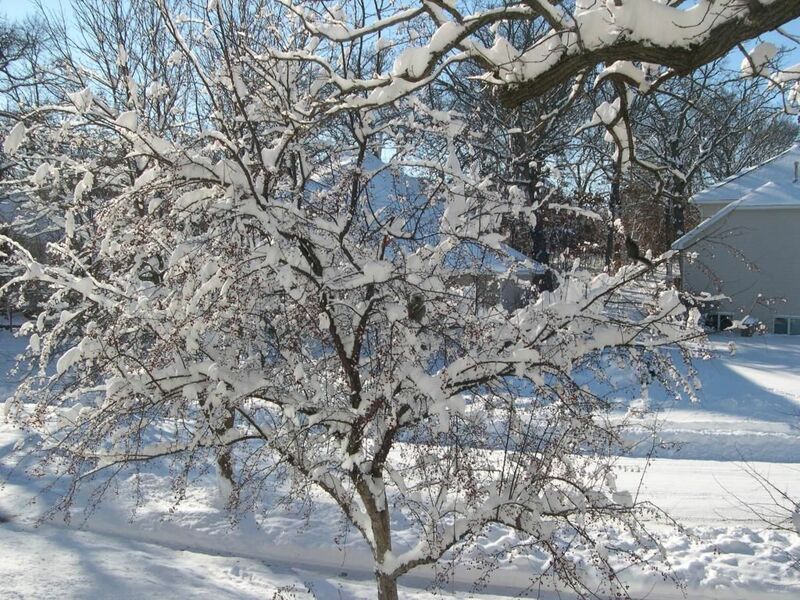 Here's the crabapple tree in the front yard. 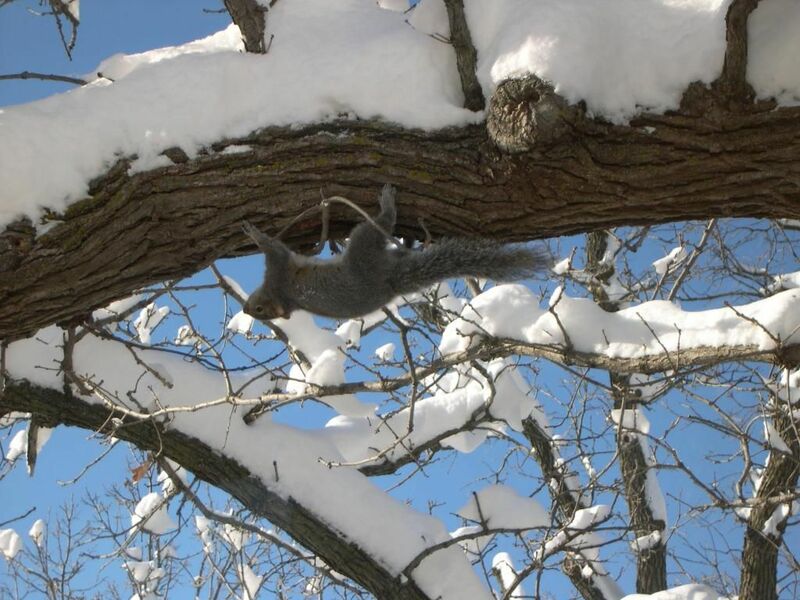 To get there, the squirrels walk out on a burr oak tree and leap. We've got snowbanks now from where the road has been plowed. The blue sky is a mood boost even if it's cold. Happy sledding. Looks like it will be a white Christmas after all. Current Music:Ain't Messing 'Round - Gary Clark Jr.
WANT! I know there comes a time when it's slushy and dirty, but it looks so pretty right now :)The third pic is cute - I'm just imagining the upside down POV. So white and crisp. The branch goes right by my second floor window and I turned around and there he was. They looked cute today with their fur and tails all puffed up to stay warm. Everything looked so brilliant this morning with the sun on the snow. We didn't end up with a snow day much to the kid's disappointment but everything got cleaned up here pretty well. Yeah, just the side roads are still a mess - plowed, but still compacted w/snow. That's so fresh and clean. I wish it stayed that way. Beautiful shots. 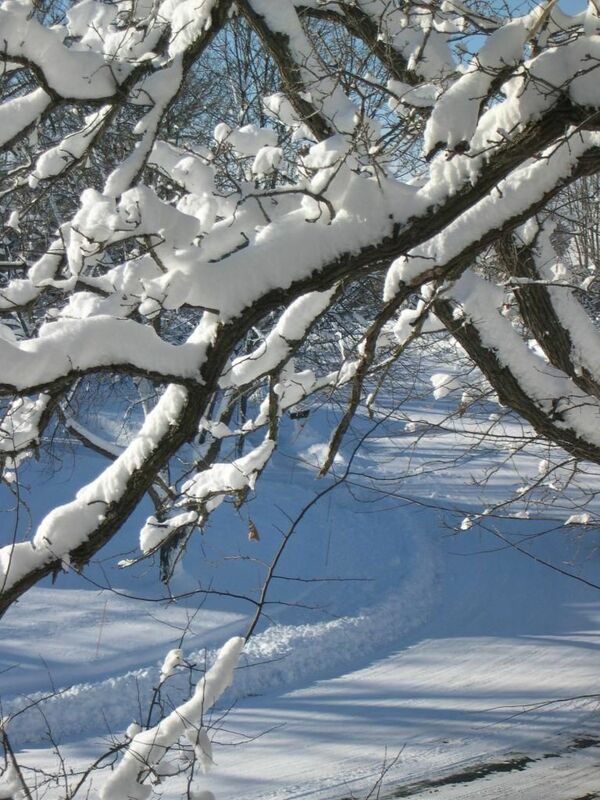 The fresh white snow always reflects the sun so nicely and makes it brighter. I love it like this. That top picture would make a nice Christmas card! Especially with the red berries. It looks like Christmas around here now. Oh, that looks really pretty. We got enough snow for a White Christmas (and are getting even more right now), but no Sun. That blue sky looks beautiful! What a difference a few days make. Today it's raining and foggy. We still have snow but it's sloppy and slushy. Santa better get the wheels back on the sleigh. Those are very lovely pics. 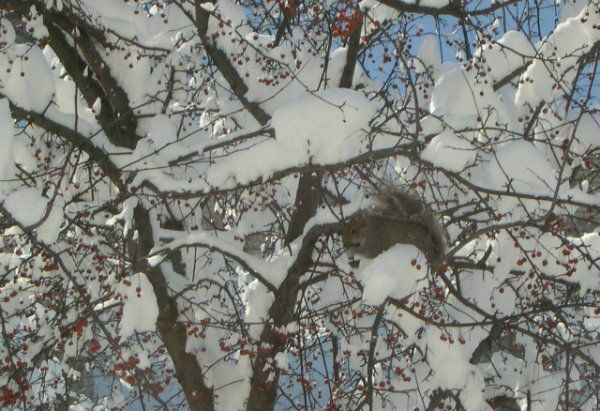 The snow bulks on the branches looked a lot like white squirrels! Lovely photos. That's a great shot of the squirrel. Thanks, they were pretty cute out in the trees.